Proper maintenance is very necessary for the roller garage doors and shutters as it helps in increasing their lifespan. Servicing of garage doors can help in identification of potential problems and issues before they cause any damage or inconvenience. Regular assessment by professionals will make sure that day to day use of garage door remains quiet, reliable and smooth. When we talk about the garage door, then safety is the biggest reason for the proper maintenance of your garage door as if they are not properly maintained they can malfunction easily. If your garage door fails or get fall, they can damage your vehicle and in the worst case scenario, you can also get injured. How Often Your Roller Garage Door Should Be Serviced? Scheduling of service is totally dependent on the shutter type and how many cycles your shutter completes in a day. Car parking garage shutters require servicing in every 6 months where as shutter used rarely for domestic purpose requires servicing in every 5 months. Engineers you hired for garage door repair will work as per their comprehensive checklist. The task included are fitting of photo cell and centralization if necessary, removal of the central panel and its analysis, motor asses and limits associated, lubrication and analysis of roller and guide channels and curtain door washing. Replacement of Semi consumable parts such as auto locks springs and support bracket bearings. Prices vary according to your requirements. 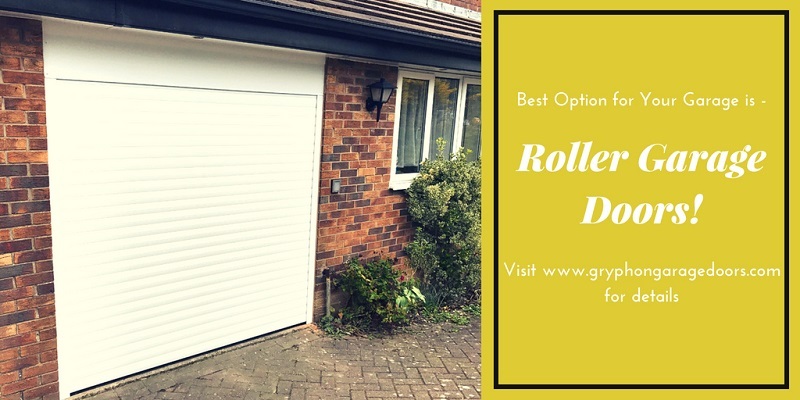 If you want to have repair of single door garage doors then it will not cost a much and if you have maintenance of your roller garage doors on the regular interval of time it will be very less as there are fewer chances of error to occur when the maintenance is done on regular basis. A garage door must be easy to lift by the hands if the installation has been done in a right way and proper servicing is done with perfect spring adjustment. If your garage door has an automatic motor, they should slide up and down in a smooth way with minimum effort. For preventing the major repair, regularly inspect the hinges and rollers of the garage door and replace the loose and broken parts. For replacing the garage door rollers, you need to remove the hinge, it is necessary to uninstall the hinge first, for fixing the misaligned rollers. It is better to have hardware store experts as they help you to purchase the best rollers for your garage doors. The mentioned points for garage door repair minimize the spring tension as it is up position. It is recommended to make use of C-clamps for the stabilization of roller. As an alternative, you can also use long board to wedge between the ground and the garage door to hold it in up position safely. For safety reasons, make sure that your roller garage door opener is unplugged. Use board or ladder for holding the sagging door panel after hinge is removed. From hinge bolt, lose the nuts and then tap it with the hammer to remove it easily. Tip the hinge outward to disengage the roller, the pull out the roller out of the track and place the new one. After that, slide roller to the door track. Place the hinge on bolt’s top until hinge get properly positioned against the garage door section. Bottom rollers not having hinge will be associated with the cable of the garage door and that is attached to bottom roller bracket. Before removing the bracket, you need to remove the tension from cable. If cables are difficult to disconnect then, clamp the cables to track of garage door and leave the slide slack on roller brackets. You need to test your door in manual way first, check whether the nuts are tight or not. Restart the roller garage door opener and analyze whether it is working smoothly or not. It necessary to apply garage door lubricant to all moving parts of your garage door once in every six months. Silicone spray is good for the moving parts of garage doors as it will help them to work in a smooth manner. These tips can help you to maintain your garage rollers doors effectively, but it is important to take guidance from the professionals for door maintenance. For effective working of garage door expert guidance is necessary as you might not able to handle all aspects of your garage door maintenance without an expert. 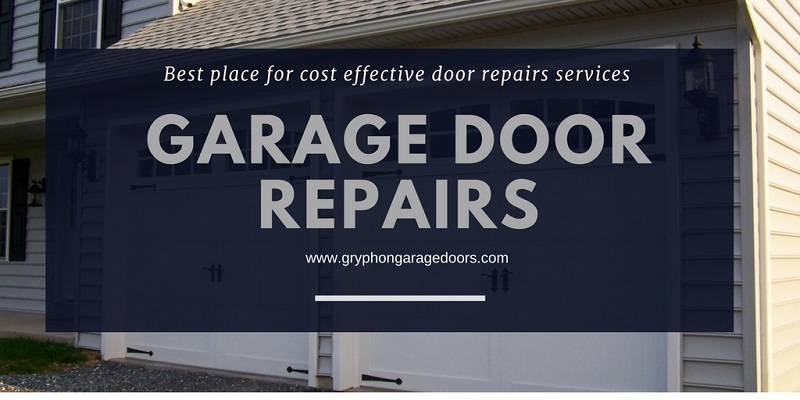 So, if you are looking for an expert for your garage roller door repairs, then you can contact the professionals of Gryphon Garage Door. They will proper guide you for installation and maintenance of your garage door.